The Second-Cycle (or Master of Science) Degree Course in Reproductive Biotechnologies, completely delivered in English, is aimed to students with a Bachelor degree. The Course provides the fundamental theoretical and practical knowledge necessary to understand and perform novel techniques in the areas of reproductive biology and biomedical research. 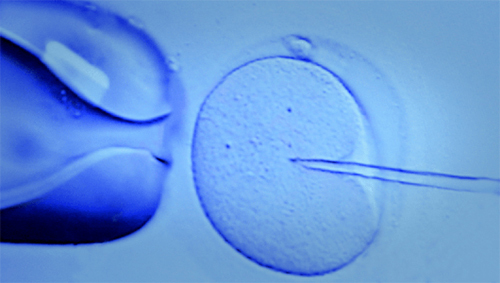 The ultimate aim of the Course is to train experts able to manage laboratories of medically-assisted reproduction both referring to humans and animals. The academic staff of the University of Teramo have been involved since many years in basic and applied research related to the biology of gametes and experimental embryology, having established a wide collaborative network with national and international investigators. This Course takes also advantages of external specialists, who actively work in the field of human reproduction in both public and private companies. Students are strongly recommended to carry out specific curricular internships or training internships in the several certified national and international Centres/Companies, which the University has agreed upon. Such course aims at providing detailed and up-to-date lessons, also through individual laboratory practice, on the structure and function of gametes, on the biological and molecular mechanisms that control the interactions between sperms and oocytes, the fertilization process and the embryonic development. The students will acquire the most recent techniques to isolate, manipulate, and cryoconserve both animal gametes and embryos, as well as the techniques for their biochemical, genetic, morphological and functional characterization in the field of reproductive medicine. This Master Degree course is mainly student-oriented, providing a system of tailored tutorship, with periodically-administered check-in interim tests in all course units and a beneficial use of the e-learning platform and the “Agreement with our students” system. Classes in English will promote opportunities of international mobility of incoming and outgoing students among European validated research Institutes, through Erasmus mobility programmes and agreements with foreign Universities/Companies. The international nature of this Course will also facilitate working experiences abroad, that will be truly appreciated in the current worldwide professional field. This Degree Course will be delivered only in English. The enrolment in a Master Degree Course delivered in English allows to benefit from a 50% refund (except for compulsory fees) of university fees, if a student obtains a language certification higher than B1 over the regular length of the Degree Course. Students can benefit from 100% refund (except for compulsory fees) if they spend one term in a university abroad.